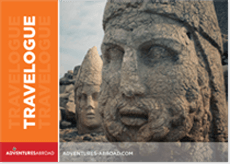 Adventures Abroad Worldwide Travel is a Canadian tour operator based in Richmond, British Columbia. The easiest way to make a reservation is to contact us by telephone. You can also book online through our website. A non-refundable $500 deposit is payable at the time of booking; if a reservation is made within 60 days, full payment is required. Some trips require a larger deposit. If international airline bookings require a non-refundable payment in order to secure space or the lowest available fare, we will require an increase in deposit equal to the cost of the ticket(s). Early enrolment is always encouraged as group size is limited and some trips require greater preparation time. Once we have received your deposit, we will confirm your space and send you a confirmation package containing your trip itinerary, any visa/travel permit related documents, invoice, clothing and equipment recommendations, general information on your destination(s), and forms for you to complete, sign and return to us. Your air e-tickets (if applicable), final hotel list, final trip itinerary, and instructions on how to join your tour, will be sent approximately 2-3 weeks prior to departure. We accept MasterCard, Visa, and American Express for deposits and and final payments. A $125 per person discount will be applied to final balance payments made by cheque, wire transfer, or online bill payment. Bookings from outside of North America will be charged in Canadian Dollars. Your verbal authorization to take payment confirms your acceptance of these Terms & Conditions and your reservation whether or not you have signed the appropriate credit/charge card draught. We require a signature on file for final payment by credit card, even if payment has already been made. An invoice will be sent to you with your confirmation package; supplementary invoices maybe sent before final payment date, 60 days prior to departure. Should you need to cancel your trip, you must notify us in writing, by letter, e-mail, or by fax immediately. Deposits are non-refundable, though if you cancel more than 90 days prior to tour departure date, the deposit is transferable to any other tour taken within 12 months of the original tour start date, minus a per person transfer fee (some tours have a 100% nonrefundable/ nontransferable deposit; you will be informed of this at the time of booking). Less than 90 days prior to departure, all monies paid are 100% non-refundable, nontransferable. Name changes are not permitted. Insurable risks may be covered under trip cancellation insurance policies, if purchased. We will not grant partial refunds for any unused trip arrangements—voluntarily missed meals, sightseeing, transport, etc—after the trip has commenced, or any refunds to trip members who do not complete any portion of the itinerary for whatever reason. All air tickets are non-refundable and valid only for the flight(s) indicated. We may cancel departures if forced to do so by circumstances such as war, civil or political unrest or what is commonly referred to as force majeure. In these instances we will refund all passengers in full if cancellation takes place more than 60 days prior to tour start date. If cancellation occurs within the 60 day period, we will offer to postpone your trip to another departure of the same tour code within 12 months of the original tour start date; or, if circumstances do not permit, an alternative will be offered at that time. We will not be responsible for costs associated with re-issuance or extension of visas, airline change fees, or for any compensation. We strongly recommend that all travellers purchase trip cancellation insurance, either through Adventures Abroad or elsewhere, as this may provide coverage under such circumstances. If we cancel your tour due to insufficient enrolment, we will endeavour to find an alternative tour for you. If this is not acceptable, all monies paid will be refunded in full and will constitute full settlement. We will not be responsible for any expenses incurred, such as visas, vaccinations, independently purchase airfare, or any compensation. Notice of cancellation due to insufficient enrolment in any program will be given approximately 60 days prior to departure. Trip cancellation and interruption insurance is optional but highly recommended. Travel insurance offers peace of mind and financial protection against unforeseen events that might prevent your travel or completion of your trip. Visit our website to learn more about policy packages available, or call one of our reservation agents for more information and / or a quote for your specific journey. If you will be 65 or older at the time of travel you will be required to complete and sign a questionnaire that affirms your suitability for your chosen tour. Certain tours, including those involving high altitude and/or walking/trekking, require a medical questionnaire to be completed regardless of age. We require that all passengers be medically insured. Once you have been confirmed on a trip that requires a medical certificate, you will be required to submit it no later than 90 days prior to departure. We take great care to ensure the accuracy of our itineraries and promotional literature; however, circumstances beyond our control may necessitate changes to tour content and changes in tour dates. In the case of content change, you must refer to the tour itinerary included with your final documents package as it may have been updated since you booked your trip. In the case of a shift in dates, we will notify you as early as possible of such changes so that necessary adjustments can be made. Changing conditions in the field may also necessitate itinerary modifications after the trip has departed. Tour members are responsible for all increased costs associated with en route itinerary changes or changes in means of conveyance, hotels, Tour Leaders, etc. Land Only clients will be responsible for any costs associated with changes tour start / end point/s. Most tours have a single-share program in which we match you with another single traveller of the same gender. If we are unable to pair you, we will usually absorb the cost of a single room. On some tours a "forced single" will apply; please enquire at time of booking. You will normally be informed of this charge 60 days prior to departure; however, we reserve the right to charge this fee up to your departure and, in rare cases, once you have departed. Upgrading to single room once the tour has begun is subject to availability in each overnight point, and payment must be made immediately to our office or locally to the Tour Leader. If you want to guarantee your own room, a single supplement applies. Payment of single supplement does not, however, guarantee that you will receive a twin size, twin-bedded room. Additional charges for single supplement, extra accommodation, visa/permit fees, international air taxes / fuel surcharges, domestic air taxes, arrival / departure transfers (for Land Only customers), will be added to your invoice, if applicable. Transferring to another tour or tour date is only permissible outside of 90 days prior to departure and is subject to a transfer fee. All other feasible changes are subject to availability; changes to airline tickets are subject to fees levied by the airline. There may also be taxes that you have to pay locally while on tour (you will be advised in advance). Prices quoted are based on foreign exchange rates at the time of printing. Increases due to fuel costs, rates of exchange, tariff revisions, airline pricing, etc may result in an adjustment to our published pricing. Though unlikely, we reserve the right to alter the price of any tour and forward an amended invoice. Any price increase will normally be notified no later than 60 days prior to departure. Hotel check-in on the first day of the tour will be in accordance with the hotel's usual check-in times. Though we will request early check-in for early arrivals, we regret that this cannot be guaranteed. If you want to earn reward points on air tickets booked through us, please advise us as early as possible, noting that some fares exclude frequent flier schemes. We will attempt to accommodate any special requests by notifying our suppliers in writing; however, we cannot guarantee that such requests—room locations, adjoining rooms, seating requirements and meal requirements for flights or hotels, etc—will be adhered to by our suppliers. Any dietary restrictions communicated to us are noted with respect to included meals on tour; however, we cannot guarantee that dietary needs or restrictions can be accommodated, nor will we be liable for any failure to accommodate or fulfill such requests. Those who intend to purchase airfare from an independent agent are advised not to book air arrangements until the tour has been confirmed. Notification of a guaranteed departure will be made no later than 60 days prior to scheduled departure. You will be responsible for any costs incurred should your flight arrangements be delayed, or should we have to change the tour start/end points or dates after the tour has been guaranteed. You should not expect the same level of service from discount consolidators and travel websites, as you would receive from us. We have a full-service, in house, air-ticketing department with extensive experience in arranging complex travel. Discounters deal in volume and tend not to provide professional travel planning consultation. If you choose to go this route, be careful which company you select and reconfirm all reservations directly with the airline. If you are not booking your air travel through us, it is your responsibility to provide us with your air schedule prior to your departure so we can confirm your arrival. Land Only passengers are not entitled to arrival or departure transfers unless paid for separately. Land and Air passengers are entitled to transfers; if Land and Air participants arrive early / leave late, we will include your transfers only if extra hotel nights are booked through us. One "large" or "main" piece of luggage per person is allowed on our tours. This is in addition to your "carryon" or day bag (for camera, water, etc). The large/main bag must not exceed 18kg (40 lb) and be of a standard size; i.e. reasonable in its dimensions such that you are able to manage it on coaches, trains and/or aircraft, and when porters are not available. This baggage must also conform to the limitations set by the airline with which you are travelling (contact the airline if in doubt). Some tours have stricter baggage restrictions as outlined in your pre-trip information package. Your Tour Leader will collect a fee if an additional piece of luggage is carried or if your bag exceeds the allowed weight. Porters may NOT be available at all hotels, airports, ferry terminals, etc, or at some destinations entirely. Trip members assume responsibility to select a trip most appropriate to their physical abilities and may be required to obtain a physician's release. Members are also responsible for studying pre-departure information; for bringing all necessary equipment and clothing, and must abide by the authority of our Tour Leaders and/or local agents and guides. We reserve the right to refuse the application of anyone and/or expel any tour member whose conduct is incompatible with the interest and well being of other tour participants. Any costs associated with removal will be borne by the passenger. We act as an agent for the owners and/or contractors providing the services and means of transportation specified. All tickets and vouchers are issued subject to terms and conditions. We assume no responsibility in connection with any injury, death, loss, accident or delay which may be occasioned either by reason of defect or through the acts of default of any company or person engaged in carrying out arrangements of the tour or flights. No responsibility is accepted for any changes in schedule or other events resulting from improper health certificates or travel documents or as any act of any seasonal variation, labour strike, civil disturbance, political unrest and natural acts. We cannot guarantee that accommodations, ground transportation, airline, ferry, rail, cruise ship or similar service will be exactly as outlined in the general catalogues, day-by-day itineraries or other promotional literature. Extreme care is taken in the contracting of all services, however we cannot be responsible for the errors or omissions of the suppliers or services. In the unlikely event that a supplier fails to honour their contract with us, we reserve the right to alter, change or cancel such services outlined in our literature. When such a change occurs, we will endeavour to substitute comparable services, although we will not be liable for any difference in the quality or enjoyment. Tourism is still developing in many destinations, and thus facilities and services may be under construction and repair. We will endeavour to alter trip arrangements should we be forewarned of such occurrences. You are aware that, during the trip in which you are choosing to participate, you are subjecting yourself to certain risks including, but not limited to: forces of nature, travel in remote areas and wilderness terrain, and transportation by air, train, automobile or other conveyance. You are aware that medical services and facilities may not be readily available throughout the duration of the trip. You recognize that such risks may be present at any time during the trip. You are further aware that we act only as agent for the owners, contractors and suppliers providing means of transportation and/or all other related travel ser-vices and assume no responsibility howsoever caused for injury, loss, damage or death to person or property in connection with any service resulting directly or indirectly from: natural acts, detention, annoyance, delays and expenses arising from quarantine, strike, theft, failure of any means of conveyance to arrive or depart as scheduled, civil disturbance, government restriction or regulation, discrepancies of change of transit or hotel services, over which we have no control. You understand that if any trip has to be delayed because of weather, road conditions, flight delays, cancellation of common carriers, sickness or other contingencies for which we cannot reasonably make provision, the cost of your delay and/or replacement is not included in the trip fees. All payments must be paid locally. In consideration of, and in part payment of, the right to participate in the trip, you will fully assume all risk of the above hazards and hereby release and discharge us and our agents from all actions, claims or demands resulting from your willing participation in the trip. You are aware that this is a release of liability and a contract between you and us and that you sign it of your own free will. This agreement shall serve as a release for you, your heirs, administrators, executors and for all members of your family including any minors accompanying you. Trip members grant Adventures Abroad express permission to take a photographic record of its trips for promotional and commercial use. We will provide you with a Tour Questionnaire in your final documents package. We encourage completion of this questionnaire in order to ascertain deficiencies, inaccuracies and positive feedback regarding our service, the tour, and Tour Leader. Any complaint you have while on tour must be brought to the Tour Leader's attention immediately. If the matter cannot be rectified during your trip, please forward your complaint in writing to our office within 30 days of your return. (We will not be responsible for unsettled complaints not received within 30 days of your return.) We may require 60 days from receipt to respond. In the event a mutual agreement cannot be reached, this contract may be interpreted in the court system in accordance with the law. In the event of a legal dispute the prevailing party will be entitled to reimbursement of legal fees. Adventures Abroad Worldwide Travel Ltd is a registered Travel Agent/Retailer with the province of British Columbia. We must maintain ethics and standards regarding business practices and finances as outlined by Business Practices & Consumer Protection Authority, the province's regulatory body. You can book an Adventures Abroad tour knowing that all monies paid are fully protected. Our registration number is 3438. Adventures Abroad Worldwide Travel Ltd is a registered Seller of Travel with the California Department of Justice. Our number is 2023067-40. We are also a registered Out-of-State Seller of Travel with Washington State, Department of Licensing, Business & Professions Division. Our Washington registration number is 602 223 162. Adventures Abroad Worldwide Travel Ltd is protected by ATOL and is a fully licensed and bonded tour operator. All holidays in our catalogue are ATOL protected by the Civil Aviation Authority. Our membership in ATOL means that our financial accounts are subject to strict scrutiny. You can book an Adventures Abroad holiday knowing that all monies are fully protected. Our ATOL number is 4805.